The OmniPod is the first tubing-free insulin pumping system. It is discreet, durable, wireless, watertight and incredibly easy to use. The Pod holds and delivers insulin. The OmniPod is unique with ability to be adhered almost anywhere on your body. It is simple to use, robust and safe. The PDM (Personal Diabetes Manager) wirelessly programs, personalizes insulin delivery, calculates suggested doses, and has a convenient, built-in blood glucose meter. (To read more - www.myomnipod.com) As a company, Insulet invested substantial money defining the overall look and feel of their product. The did a great job with the UI/UX. The next step was to engineer and manufacture a cost effective high volume disposable product (the POD) and a relatively low volume electronic device using the same design/development controls. Our experience and numerous personal connections expedited this process. Helping a medical device company break into the sports medicine market. 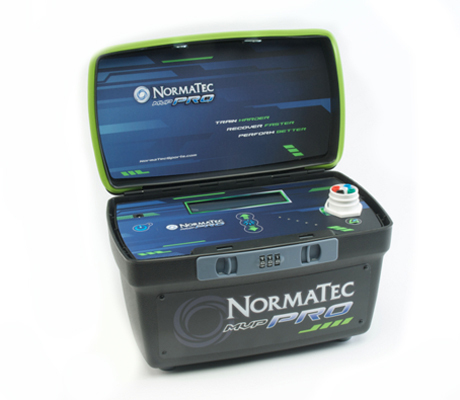 NormaTec the manufacturer of a therapeutic peristatic pump realized that it was missing out on an important potential market for it’s pneumatic pump. The pump provides dynamic compression to limbs compromised by poor circulation. It as being prescribed to patients suffering from limb inflammation as a result of surgery or health issues such as diabetes. NormaTec’s management team realized that with some minor tweaking the device could be redesigned for professional and dedicated amateur athletes who wanted to dramatically improve their recovery rates from injury and training fatigue. By re-engineering the pumps internal components NormaTec was able to dramatically reduce thte size of the pump. The design team led by Dominic Jones redesigned the user interface for both a dedicated amateur device and a professional device (the MVP). Both designs dramatically improved the usability of the pumps. The visual hierarchy of the inputs was redesigned. Feedback information that helped athletes understand the pump cycles was communicated by a series of flashing LED lights. In order to differentiate the sports pumps from medical devices the line was rebranded as NormaTec Sports. The overhauled look needed to communicate the energy of top level sports and the technical sophistication of technology. By using crisp, angular and slanted graphics, the new look communicated both high-energy and technological sophistication. The new MVP line of NormaTec pumps are being quickly adopted by dedicated and professional athletes around the world. The Boston Scientific eXcelon Transbronchial aspiration needle is a minimally invasive procedure used to collect tissue for the diagnosis and staging of lung cancer. It is a safe, economical device with a low incidence of complication, it lowers the need for invasive surgical procedures and also reduces healthcare costs. As the global leader of less-invasive medical devices, Boston Scientific wanted to simplify Transbronchial Needle Aspiration (TBNA) –The original Boston Scientific needle assemblies were two-handed devices, with multiple pieces that often detached, bent or kinked. Leaks in the wire assembly would dislodge biopsy samples from the needle, necessitating a repeated procedure. In short , these needles were difficult to use, expensive to manufacture, and sometimes failed during the procedure. Our main goal was to improve the UI/UX and if possible reduce the overall manufacturing costs. The schedule was to complete a production ready version within two months. From initial research, it was determined that the original needles were not only a two-handed operation, they were commonly a two-person operation. This required clear communication and coordination between the doctor and the scrub nurse. Time tracking helped us prioritize feature requirements. With research phase complete, the HaA team then focused on concepts with a syringe locking feature that allowing single-handed actuation. With the understanding that a single handed actuation was necessary it became apparent that their existing assembly methods were not optimal. 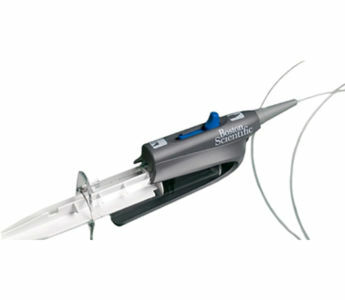 HaA recommended the needle actuation and syringe vacuum to be offset. 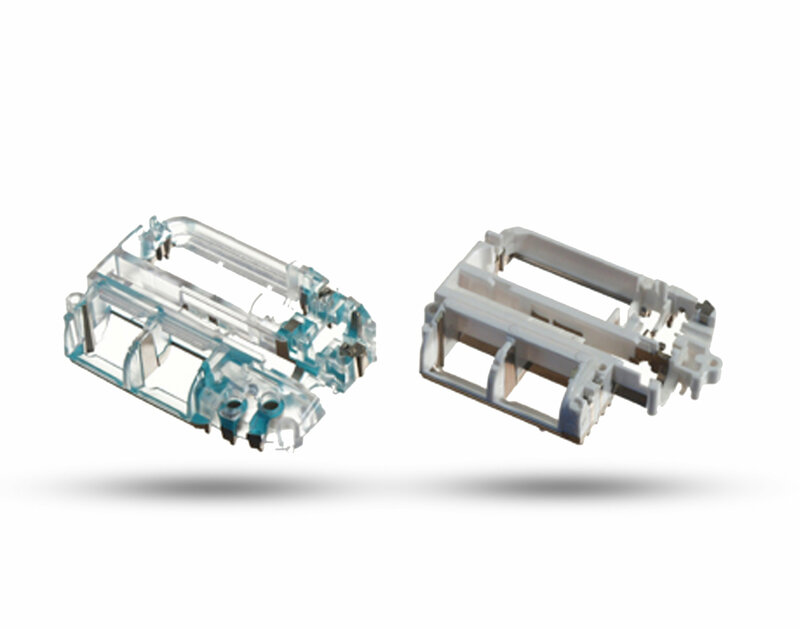 This enabled us to eliminate most of the tight tolerances and drastically reduce cost. The new Swordfish form evolved quickly from there. In summary, the freeing of the hands of the surgeon set this device apart from competitors. The new UI was intuitive and quickly learned by its users. The procedure time was reduced and the issue of dislodge biopsies was eliminated. Manufacturing costs were drastically reduced. 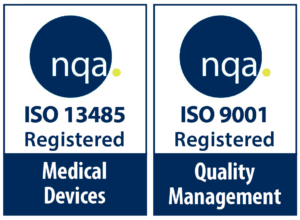 This award winning product has been very profitable for Boston Scientific! Back pain is a common complaint due to osteoarthritis, herniated discs and stenosis. To repair damaged discs and provide relief from pain, surgeons were manually injecting fluids into spinal discs but had no real way to gauge feedback other than patient pain. The procedure was painful, slow and inaccurate. 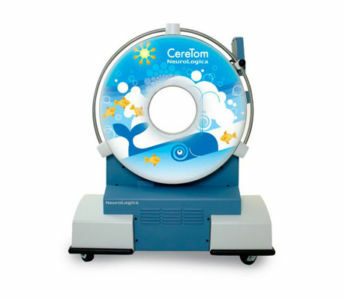 The HaA designed CDS System offers physicians a more reliable, consistent and accurate tool. 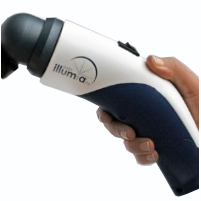 It is lightweight, portable, and easy to use. A touch-screen panel displays patient, procedure, and physician reference data, while the system monitors all critical parameters during the procedure. 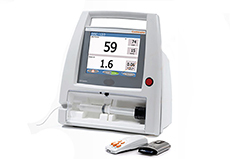 Coupled with an adjustable flow rate and pressure sensors, the system ensures reliable, accurate performance, as well as reduced patient pain, faster recovery and more successful procedures.